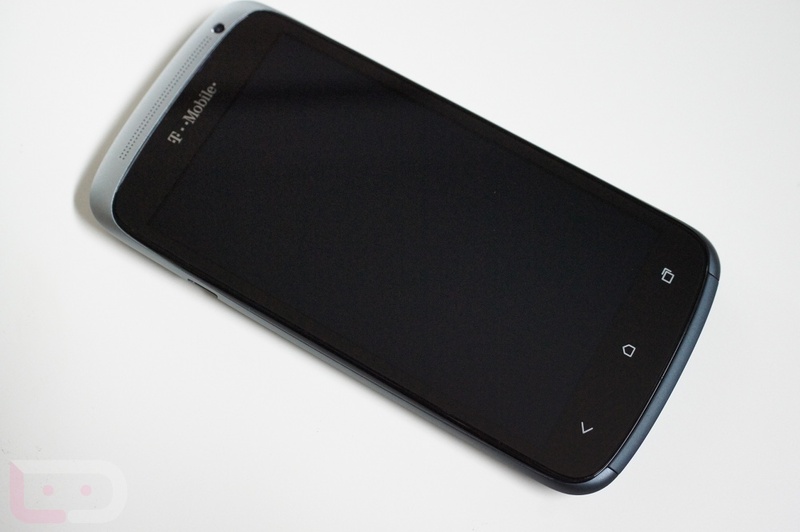 I know that you probably just finished up reading our HTC One X review from yesterday, but it’s time now to shift gears onto its little brother, the HTC One S. Announced at the same time as the One X during MWC in February, the One S might come off on paper as being less of a phone, however, once you use it you will realize that it is a little beast of its own. This device is headed to T-Mobile, but variations of it will arrive on other carriers – like the Incredible 4G on Verizon. So let’s dive into it and share some thoughts. Hardware: The One S carries an impressive set of specs for what we are considering a mid-range phone. With its 1.5GHz dual-core Snapdragon S4 processor and 1GB of RAM, this phone is no slouch. It also has an 8MP f/2.0 camera in the back (same as the One X), VGA front camera, 4.3″ Super AMOLED qHD display (more on this later), 1650mAh battery, and 16GB of on-board storage. 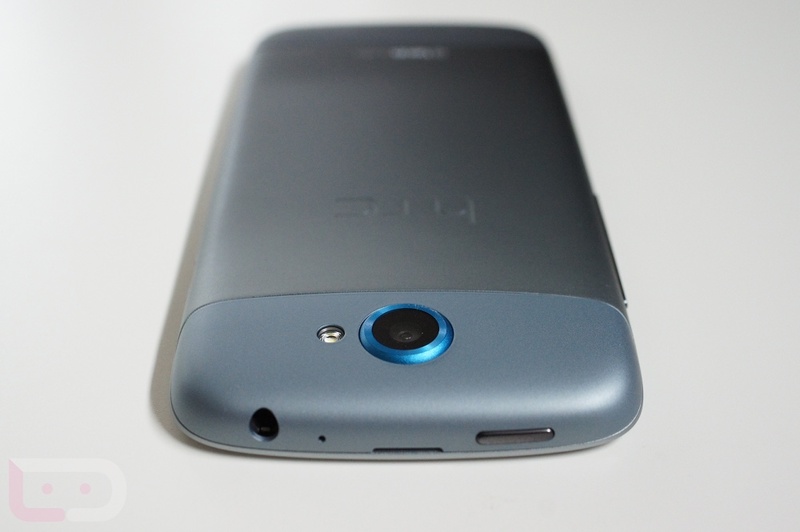 Again, for a mid-range phone, having that processor is enough to feel a tingle in your pants. 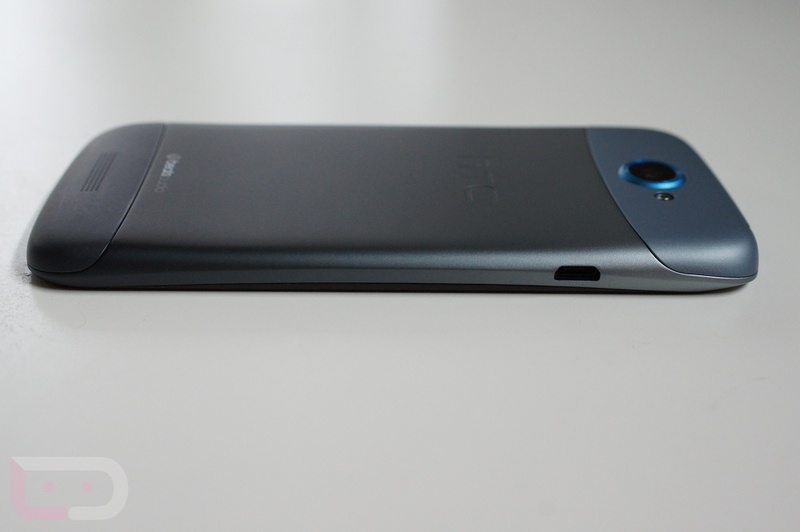 Design: The One Series of phones has been beautifully designed by HTC. This phone in particular is made using a Micro Arc Oxidation process that includes blasting and heating of aircraft grade aluminum. It should make for a more durable and reliable phone that won’t need a case to protect it. 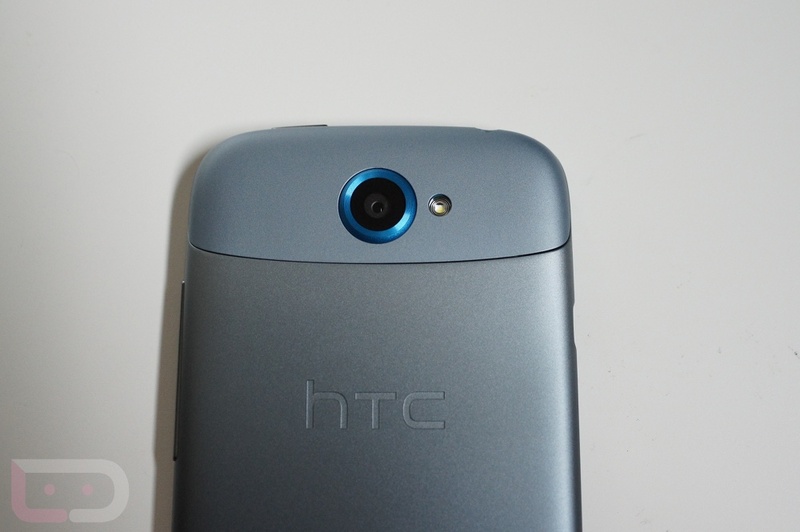 The phone I have is “Gradient Blue” and is a nice departure from the standard black phone craze. With accents in all the right places (like the camera ring), subtle logos (other than the nasty T-Mo logo on the front), and an unbelievably thin body (7.8mm), HTC has continued the design brilliance of the One X with the One S.
Display: After coming from the One X and knowing that the One S only carried a 4.3″ Super AMOLED qHD display, I was initially disappointed. But from what I can tell, this is essentially the same display that the DROID RAZR has, which is not necessarily a bad thing. 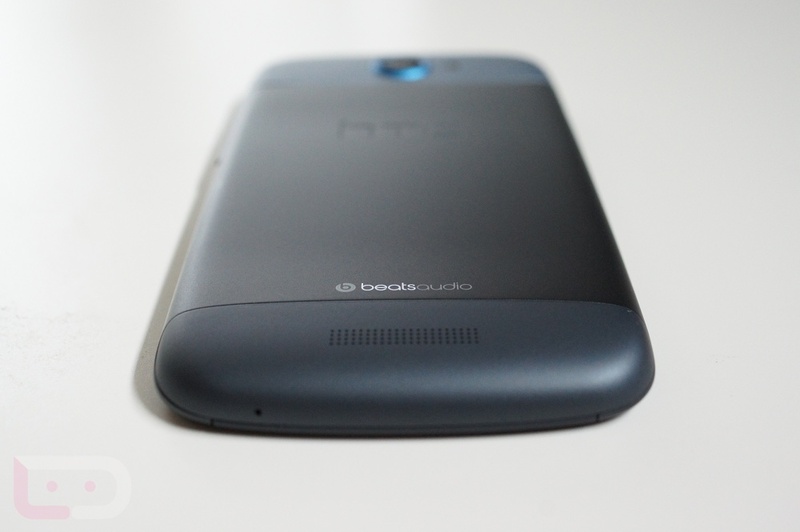 Sure, HD is king these days, but in order to keep the price and size down on this phone, HTC went qHD on us. 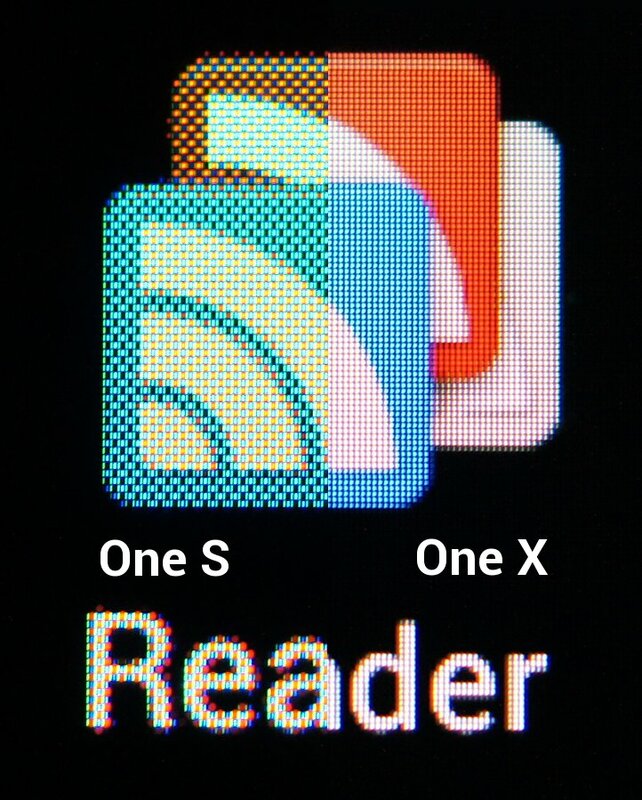 The colors are vibrant, as you would expect on an AMOLED, and actually, my better half preferred it to the One X’s when looking at them side by side. 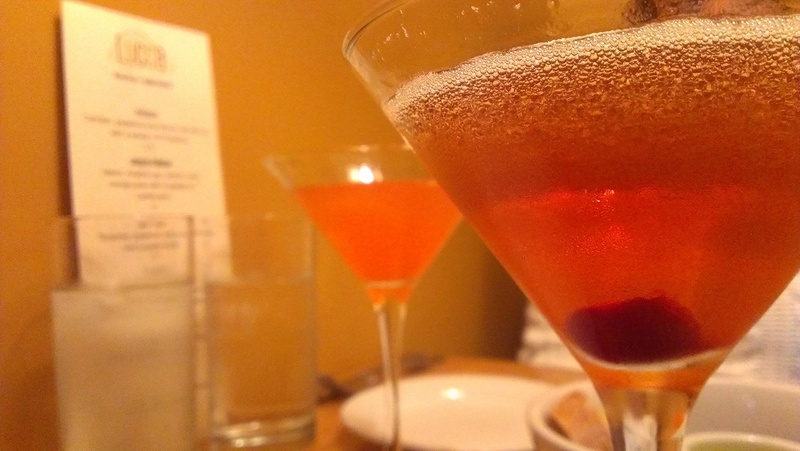 In the picture below, you can get somewhat of an understanding as to what people mean when they say that AMOLEDs look more cartoonish and vibrant, while LCDs tone things down to look more natural. It’s a preference thing, but having not noticed ghosting or other PenTile issues, this screen seems to be adequate. We also put together some macro shots below of the screen so that you can see the technology behind a qHD AMOLED. 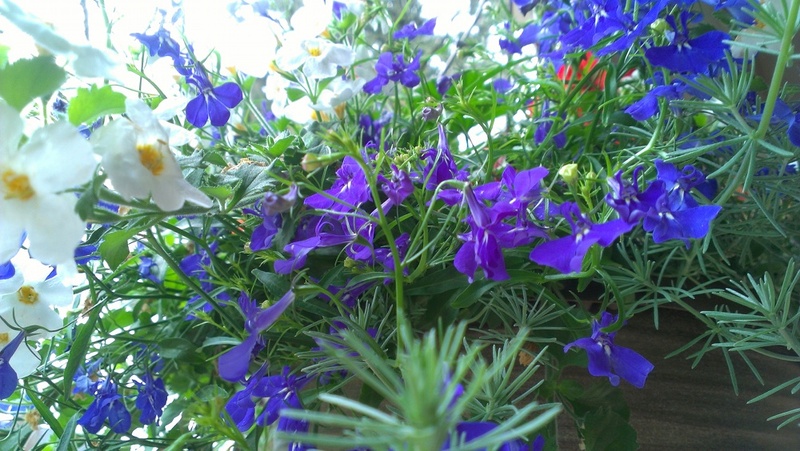 Feel: This phone is crazy light. It weighs in at just 119.5 grams and is noticeable the first time you pick it up. Is it too light? 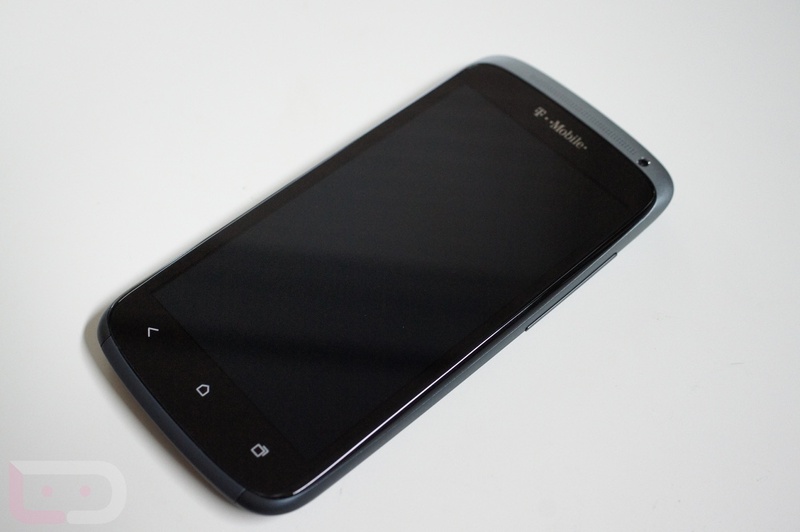 I did find myself fumbling with it at times, but that’s probably because I’m used to bigger and heavier phones. The light weight was welcomed once I got used to it. Also, with a 4.3″ display, this phone fits in your hand perfectly. I made the comment yesterday that the One X could be too big for some – that is not the case at all with the One S. If there is a sweet spot for phone size, HTC may have hit it here. Camera: The camera on the One S is identical to that of the One X and that’s a good thing. It’s ultra fast, takes better-than-average pictures for a smartphone, and records in full 1080p. I wouldn’t call this the best smartphone camera on the planet, but it certainly beats 95% of the phones available today. It rates right up there with the Galaxy S2, iPhone 4S, and other HTC phones of the last year. 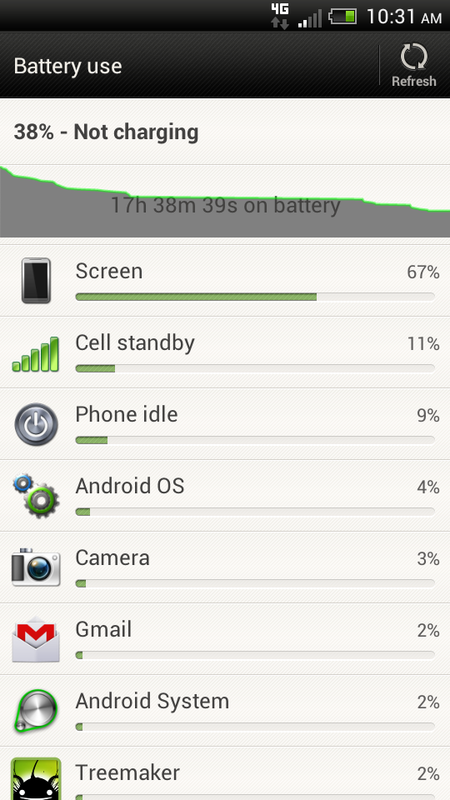 Battery: Battery life has so far been phenomenal even with only 1650mAh of juice. While I have only had 2.5 days with the phone, which is not enough time to fully test a battery, I have yet to really worry about it dying. In those couple of days, I plugged it in once to get a full charge and then one more time yesterday afternoon. Since then, no added juice, no WiFi, some gaming, a night’s sleep and we’re sitting at 38%. Not bad at all. You can probably thank the Snapdragon S4 at 28nm for the reduction in power consumption. Ice Cream Sandwich: All I need to say here, is “Nice job, HTC.” At least someone understands that you can’t release phones in 2012 with anything but Android 4.0. If you buy the One S, you will have the most current version of Android available. Beats Audio: You could probably argue for days with an audio elitist that Beats Audio on a phone is a giant gimmick. What I know, is that if you have headphones plugged in and disable the Beats Audio on this phone, that it then sounds like garbage. Who knows what the real benefit is and how it has been tweaked to optimize sound on this phone, but to me, it seems to add some flavor – and flavor is a good thing. [Update] Pricing: At $199, this phone to me is a bit overpriced. With a qHD display, only 16GB of storage, VGA front camera, no NFC chip, and a smallish battery, this should have been no more than $149 on contract. When a phone is priced at $199, we tend to think of it as a flagship, but when you can get the One X (a true flagship) from AT&T for that same price, I’m officially confused at what HTC and T-Mobile think the One S is. 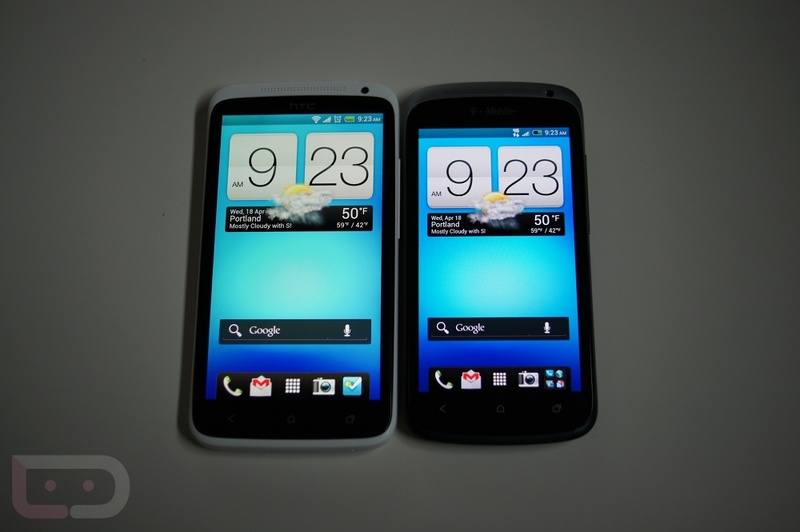 HTC Sense 4.0 (parts of it): Between the One S and the One X, there are few (if any) differences in the versions of Sense that they run. I’m a fan of pieces of it which I mentioned above, but at the end of the day, I’m an Android fanboy and like my stuff stock. 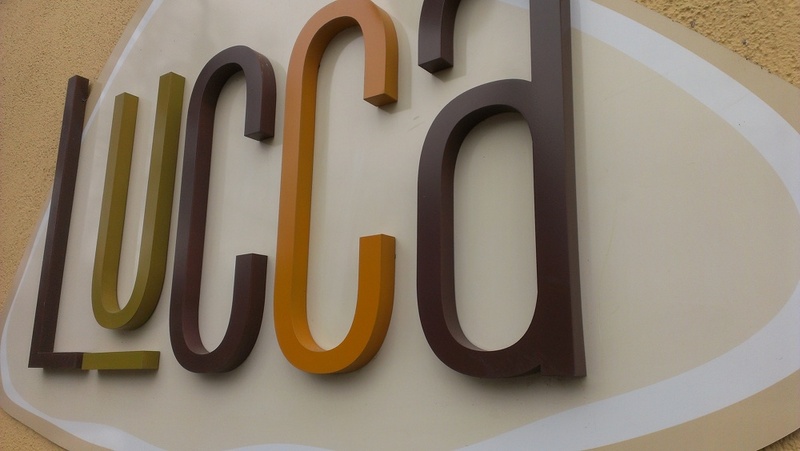 I could do without the 3D transitions and animations. Just make it simple and fluid. 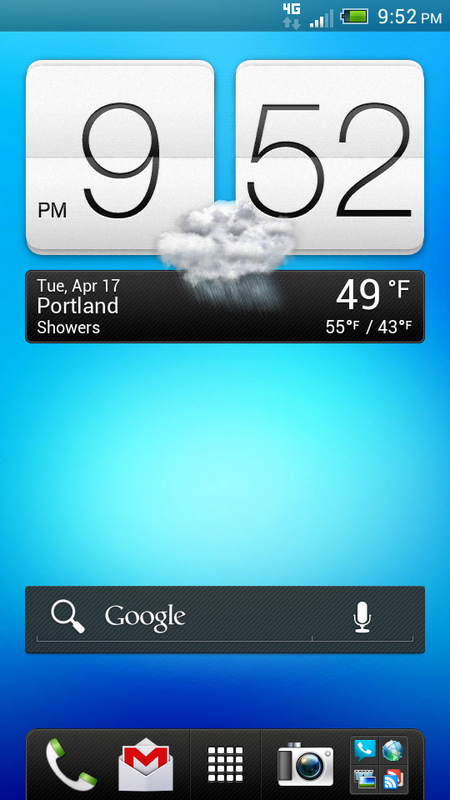 HTC Sense 4.0, while toned down from previous versions, is still a bit much for my tastes. 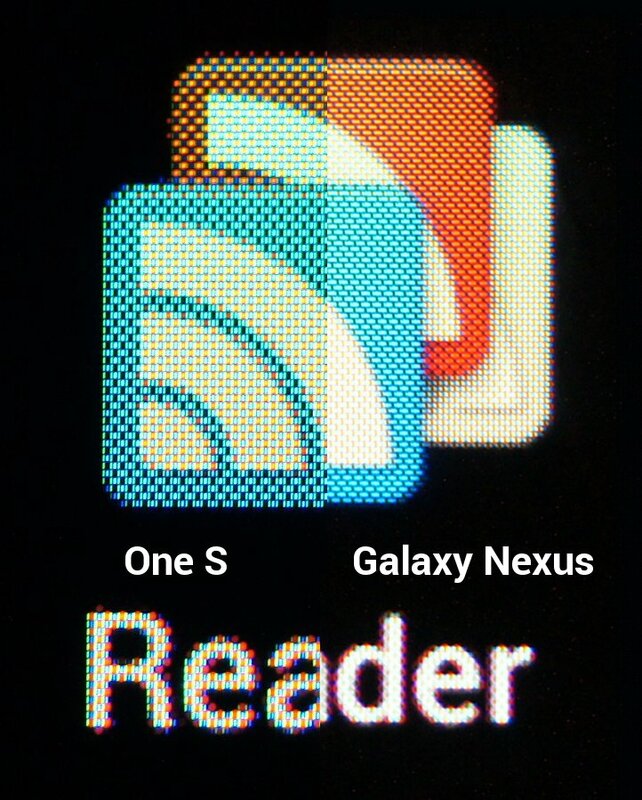 No LTE: Since the phone is going to T-Mobile, it doesn’t have 4G LTE. Sure, they will tell you that they have the largest 4G network in the land, but the educated phone owner knows that this is stretching the truth. T-Mobile does not have an LTE network, so they instead rely on what amounts to an overclocked HSPA+ network that they are calling 4G. It’s not slow by any means, but LTE is the way of the future and this phone will never be a part of that. Front T-Mobile Logo: Look, I get it that T-Mobile wants everyone to know that this is their phone, but could you have toned down the logo on the front a tad? It’s silver, massive and stands out way too much. 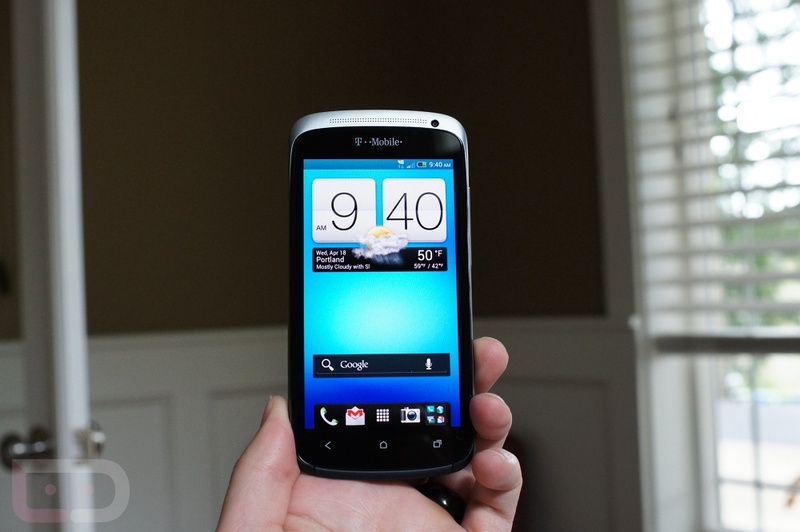 The back HTC and Beats logos are so minimal, that this T-Mobile spot on the front of the phone is beyond over-the-top. No Expandable Storage: HTC and many smartphone manufacturers have decided that phones do not need to have expandable storage. In the case of the One S, this is a bad move since they only packed 16GB inside. 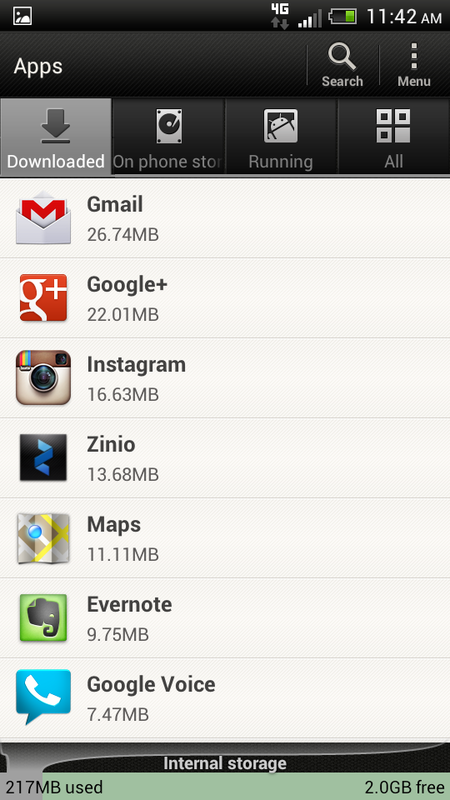 With phones like the One X or Galaxy Nexus that have 32GB out of the box, this is less of an issue. But if OEMs are going to drop below the 32GB threshold, then they need to give people an option to expand. It was probably a pricing move, however, we have to frown upon it. And once you look at how much storage Sense 4.0 takes up, leaving you with around 12GB of the 16GB to play with, you will too. Non-removable Battery: Non-removable batteries are the root of all evil for those that travel a lot or simply do not have the opportunity to plug in their phone on the fly. With the One S only having a 1650mAh battery inside that cannot be swapped out should you run it down, we are a little worried that power users won’t find it sufficient. I’ve poked around with the phone for a couple of days and have not run into issues, but I hardly consider myself a power user. 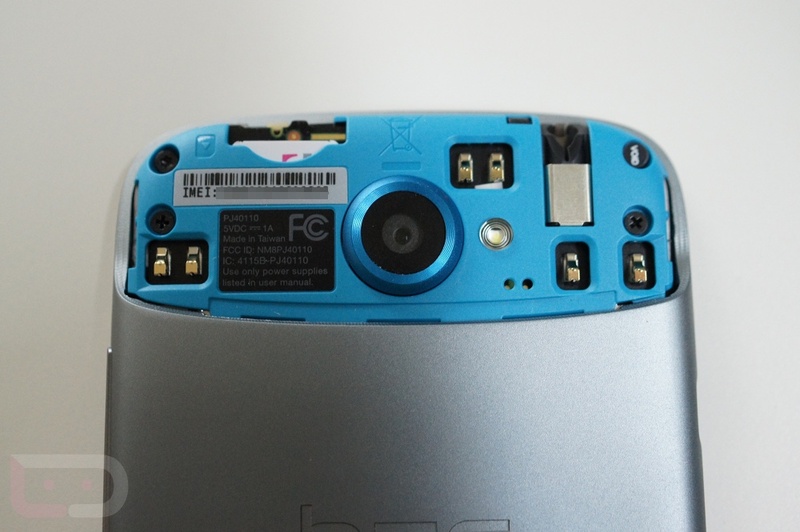 The top rear part of the phone is all that is removable for SIM card management. Bloatware: We weren’t able to perform our bloatware count ritual with the One X since that is the unlocked and non-carrier version, but the One S is all up in some pink T-Mo. What is the final number? 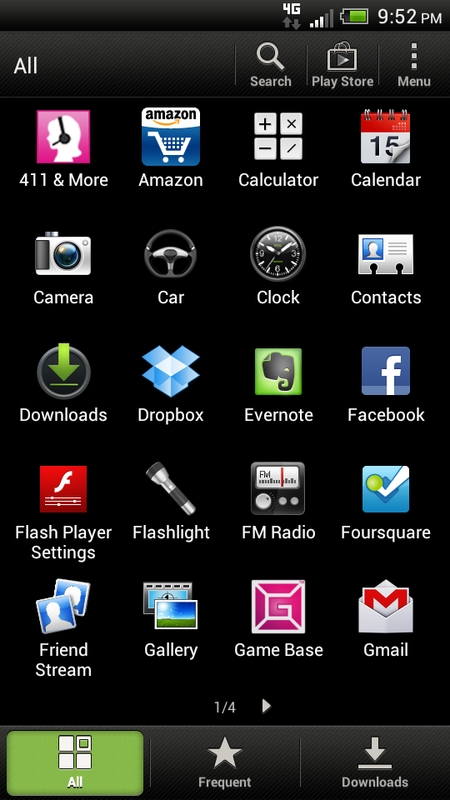 15 bloatware apps. Some of them can be removed, but not all. We know that bloatware will never go away, but we like to point out our continued disappointment in carriers’ choice to make these system/non-removable. No NFC: This could have been another cost cutting move, but HTC decided to leave out an NFC chip in the One S. The One X has it, but if you choose this phone, you will have to spend the next 2 years without the ability to pay for things on the go with your smartphone. All signs point to some major NFC and mobile payment happenings kicking off by the end of the year, so this is a bit disappointing. Top Lock Switch and Headphone Jack: It wouldn’t be fare if I knocked the One X for this and gave the One S a pass, so we are bringing it up again. To me, it makes sense to have lock switches on the right side of the phone where your thumb can hit it easily. It also makes sense to have headphone jacks on the bottoms of phones so that you can easily pocket them and also avoid cord issues while holding. When you are given a short 2 or 3 days to review a phone, it’s tough to feel like you really got to know it inside and out. However, since the One S is basically just a smaller version of the One X, with a smaller screen and build, this was pretty easy to do. 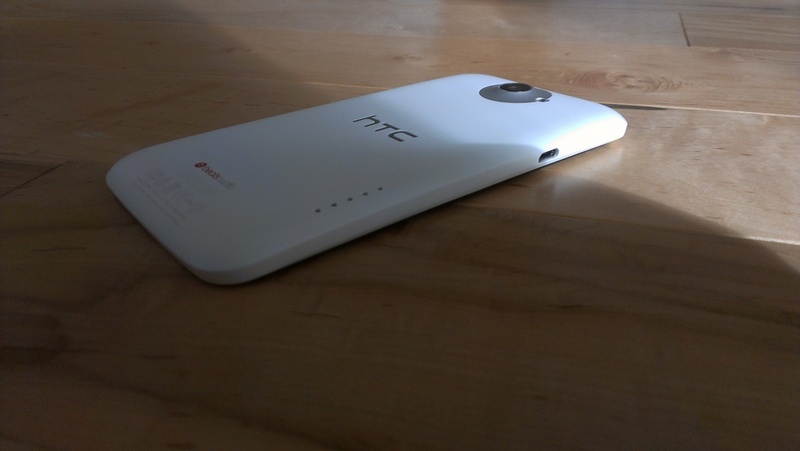 The HTC One S is a great little phone. 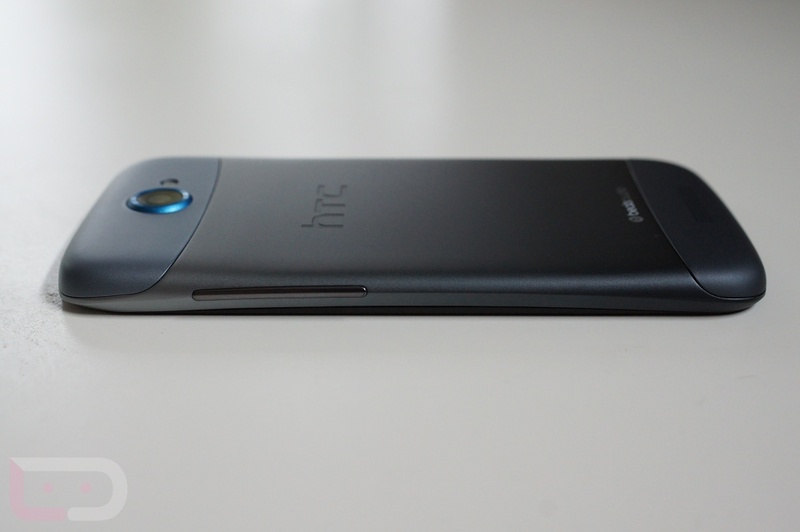 It’s not a flagship, but I don’t think that HTC intended for it to be (or maybe they did?). While it may not have the full-blown HD screen, tons of storage, NFC chip, or LTE connectivity, it has one of the better (if no the best) mobile processors on the planet inside. Assuming that this phone comes in at a price well below $199 , it may be one of the finer deals around (Update: It didn’t. T-Mobile is pricing it at $199. Yikes.). You get a vibrant screen, tons of power, Ice Cream Sandwich, a phone that feels amazing in hand, impressive battery life, and one of the better cameras any smartphone has ever seen. 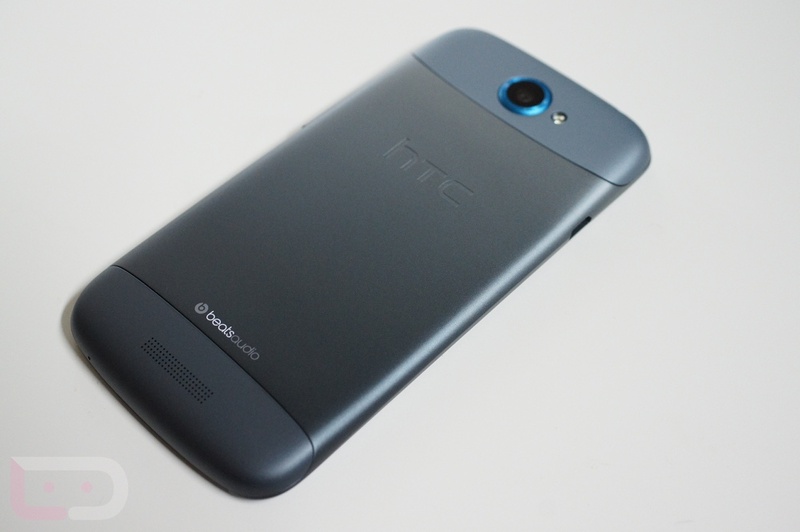 The One S is another winner from HTC’s One Series. For Verizon folks, this is for the most part what the Incredible 4G will be – same screen and processor, but with LTE. *Note – We know, this is not a Verizon phone. But knowing the competition and your options is a good thing. Going forward, expect to see reviews from time to time of other major players on other networks here at DL. Who knows, some day you may find one that you can’t live without and will switch carriers. It could happen, right?